An overwhelming support of donations have been made to the Humboldt Broncos’ GoFundMe page that was set up for the victims and family members that were affected by last week’s horrific bus crash and the donations are still coming in. The online campaign was set up shortly after the crash happened last Friday evening and by Saturday morning it surpassed the $1 million mark. A few days later, it made history by becoming the third highest GoFundMe account of all-time when it surpassed the $8 million mark and now there’s a chance it might become the second highest GoFundMe account of all-time thanks to recent donations. The initial goal was $4 million, but here we are one week after the tragic accident and the online campaign has surpassed the $11 million mark thanks to 125,167 people who donated to the cause. GoFund Me Has Just Been Set Up for The Players & Families Affected By Tonight's Tragedy Involving the Humboldt Broncos Hockey Team. If the campaign raises another $1 million, it will become the second highest GoFundMe account of all-time, moving ahead of the campaign that was set up for the Las Vegas shooting, which raised $11.8 million, while the highest grossing GoFundMe account of all-time is the Time’s Up Legal Defense Funds campaign, which raised $21 million. 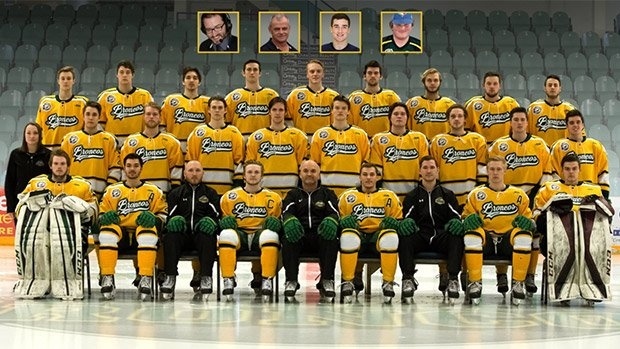 If you’d like to contribute to the Humboldt Broncos’ GoFundMe page, you can do so by clicking here.